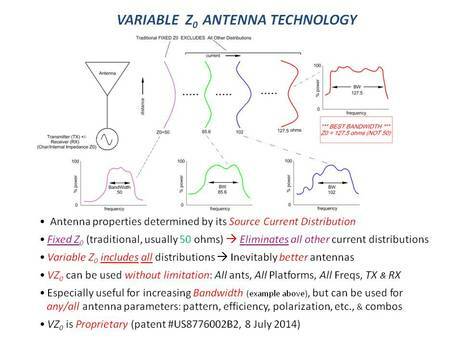 Variable Z0 (VZ0) antenna technology is a new design or optimization methodology applicable to any antenna on any platform designed or optimized with any procedure. It is especially useful for wireless devices populating the Internet of Things (potential 10-year market - 7 TRILLION machines! ), in particular improving bandwidth. 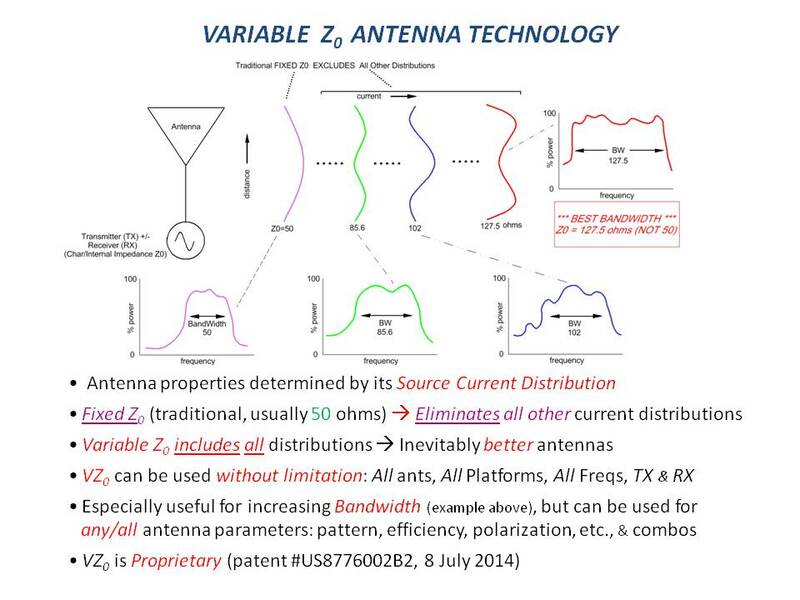 VZ0 expands the design or decision space by adding another degree of freedom invariably leading to better antennas. VZ0 has been the subject of several papers published in refereed engineering journals (copies on request). US 2014/0340278 A1, Nov. 20, 2014), copyright/trade&service marks. If desired, negotiated consulting support is available at a reasonable hourly rate.